Redline Racing’s Charlie Eastwood has moved into the championship lead in the Porsche Carrera Cup GB after securing the teams eighth win of the season during the latest rounds of the 2017 season at Snetterton this past weekend (29/30 July). 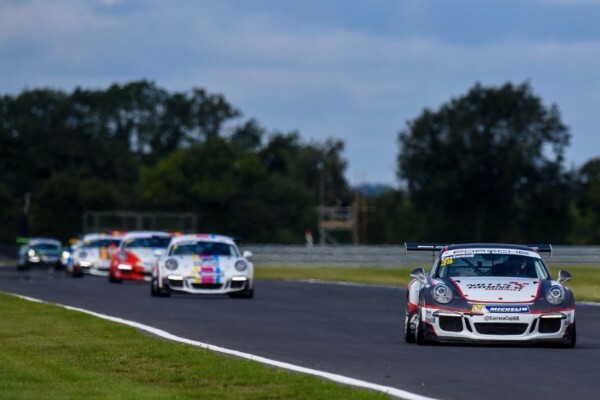 With erstwhile points leader and two-time CCGB champion Dan Cammish missing from the weekend’s action as he raced in the Porsche Mobil 1 Supercup in Hungary, Eastwood seized the opportunity to move to the summit of the standings with a podium double in Norfolk. The current Porsche Carrera Cup GB Scholar would set the bar in qualifying with a superb pair of pole positions, the first of which he would convert into a stunning lights-to-flag victory on Sunday morning, his third win of the season so far. The Northern Irishman was on course to make it two from two in the live televised second encounter until a slight gearbox problem cost him a place, though a seventh podium finish of the year still gives him a thirteen point championship lead. Cammish’s Nationwide-backed entry wouldn’t sit empty for the weekend meanwhile, with the seat filled for the meeting by championship debutant Scott Malvern, who joined the series with a strong pedigree across single-seater and GT racing. With the pre-event group test on Wednesday being his first time in the car, Malvern would show continued progression across the race meeting as he got used to the intricacies of the current 911 GT3 Cup car, eventually securing hard-fought seventh and fifth place finishes. Fresh from a first podium finish of the season last time out at Le Mans, Tom Oliphant narrowly missed out on adding to his tally during another impressive weekend, with sixth and fourth place finishes further consolidating his top four championship standing. All five of the team’s Pro class drivers would finish in the top eight in both encounters meanwhile, with Euan and Dan McKay battling it out with their team-mates throughout the two races on their way to best finishes of fifth and seventh respectively. The team were back to a full six car line-up for the meeting meanwhile, with John McCullagh returning to the fold for the remainder of the campaign. The 53 year old was immediately on the pace in the Pro-Am 1 category, taking a brilliant class podium in race one. The weekend’s results mean Redline Racing maintain a healthy 79 point advantage atop the Teams Championship and hold four of the top five positions in the Drivers’ Championship ahead of the next rounds at Knockhill in Scotland next weekend (12/13 August). Simon Leonard (Team Boss): “It’s been another hugely positive weekend all round for the team. Charlie [Eastwood] produced a fantastic performance in qualifying and then drove two brilliant races, with just one glitch denying him a deserved double victory. 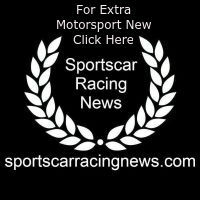 “It was always going to be difficult for Scott [Malvern] to step into a series as competitive as this, but he acquitted himself well and his pace was improving each time he got in the car. Tom [Oliphant] was right on the cusp of another podium finish and drove well all weekend. “It was great to see our guys battling so close on track and both Euan [McKay] and Dan [McKay] continued to show that they are more than capable of battling for the top three, while we loved having John [McCullagh] back in the team and back on the podium! Charlie Eastwood: “There’s naturally a bit of frustration as wanted to fully maximise the opportunity this weekend and take both wins, but it’s just one of those things, I hit the downshift, the rear wheels locked up and there was nothing I could do. Tom Oliphant: “It’s been an interesting weekend. We had a quick race car all weekend and I felt I was good enough for third in qualifying though I made a small mistake, and then it just didn’t seem to go our way in the races.